I know we have all seen the shows on television. We have read the articles in newspapers and magazines as well as online. 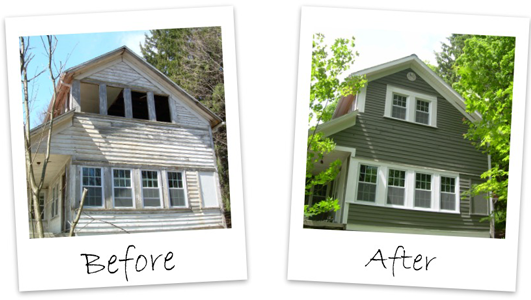 We have “heard” so many stories about buying fix-up properties . It seems that “everyone else” has made “tons” of money and you’d like to get in on the money train. I know that I understand and can’t blame you . There are many things to be considered long BEFORE you step into the “fix and flip” arena. 1. As with any steps into the world of real estate your 1st and most important one is to find a REALTOR . Your REALTOR should be experienced working with investors and should offer you references . Your Arizona REALTOR is going to be a major part of your “team”…and yes…you will need to assemble a team to support you and your project from start to finish. Your “team” members will also include your mortgage person , contractors , installers suppliers and even your favorite person at that “big box” home supply store! 2. Now it’s time for you to honestly look at your own skills. Can you put on a new roof? Lay tile floors? Install appliances? Repair a pool or spa? Move walls? Repair drywall? Paint inside AND out? Pour cement? Landscape? Install plumbing fixtures and lighting fixtures? Correct electric problem? Be honest with yourself as you rate your own skills. List all the jobs you KNOW you can do and do well. Make a separate list of the possible jobs that could be beyond you and remember which list is “yours to do”. While you are at it…and before you go looking at properties start your research on your outside resources. Look back at the service providers who help you with your home. Ask your friends, collegues and family who they have used with satisfaction! Now it’s time to check contractors’ licenses for any outstanding complaints or disputes as well as the Better Business Bureau. Ok? Feeling good about your “team”? Time to move on to the next step. 3. As important as it is to have the supply and labor “team” all set you have to have your financial “team” working as well. Find out the financing/mortgage options that are available. What are the terms? What are the costs? How much will you need as a down payment? How will you pay for your fix-up materials and labor? After you have fixed your property how long can you carry your mortgage COMFORTABLY until the property is sold? Whatever the answer is…play it safe and try to put away an addition 3-6 months payments…as a cushion. Comfortable? Good. Now it’s time to go back to your Arizona REALTOR and start your property research. 4.You and your Arizona REALTOR will now start the steps necessary to secure a property for your “fix and flip”. Be painfully honest and direct with your REALTOR . Share the truth about your skills, your finances, your mortgage qualifications . Discuss your goals as well as your concerns long before you actually write a purchase contract. Once you are comfortable with the process and feel you have expectations that you can meet the property research will begin. Identify the type of property you would like. Pick and STAY with a price range that feels very comfortable for you. Choose a neighborhood or area that you know and LISTEN to your REALTOR’S suggestions. I have been an Arizona REALTOR since 1978 and these are some of the services I offer to my investor clients. I help my clients compile their list of contractors, installers and suppliers . I work with my clients and the lender/mortage broker to help secure the best financial options. I ask my clients about their personal skill level and about any concerns. I ask about my clients financial goals. Once these have all been reviewed it is FINALLY time for me to research the possible properties that fit with the goals and skills. As YOUR Arizona REALTOR I will provide comparables that will give an accurate prediction of the fixed up selling price. I will review neighborhood market conditions as well as provide access to school reports, neighborhood demographics and any other statistics that may impact the future value of the subject property. Once we have identified the best property to meet YOUR GOALS I shall be with you from start to finish. I’ll advise you, listen to you and even stage the final product for it’s debut in the re-sale market. Arizona real estate can make great investments and I am here to help you on your way. I AM A TEAM PLAYER and would like to be YOUR ARIZONA REALTOR as you embark on your “fix- and flip” project. Please be sure to visit my website www.myphxazhomes.com to check out my references, look at the current homes on MLS and to sign up for a free discount card from “Lowe’s” to help you make your investment dollars go as far as possible!